We'll happily work with either domestic or commercial customers and we'll help you with staircase ideas and design options, whether it's an open staircase or spiral, we have options to suit all building types and budgets. Bespoke Stairs, handmade to your style and specification. With a variety of materials and the latest woodworking machinery, MS Joinery will create the drams stairs you always wanted! MS joinery have worked with a range of businesses creating something different for each of their requirements. All stairs can be crafted to meet any specification meeting all regulations applied to commercial premises. 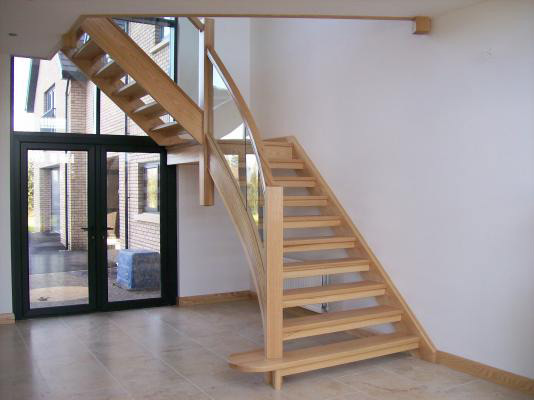 We can help you with staircase ideas and design to fit your home perfectly. With the options of many different materials, MS Joinery will inspire you with new and creative styles that you will love. A smooth, safe and speedy installation completed by our experienced team so your staircase is usable at the earliest opportunity, with the least disturbance to your everyday life. Staircases are not just functional these days, combining materials such as glass with timber can create a real feature of your building and a great first impression for any customers visiting your business premises. For commercial projects, we're able to produce high quality work whilst adhering to both legal and corporate requirements for quality and safety. 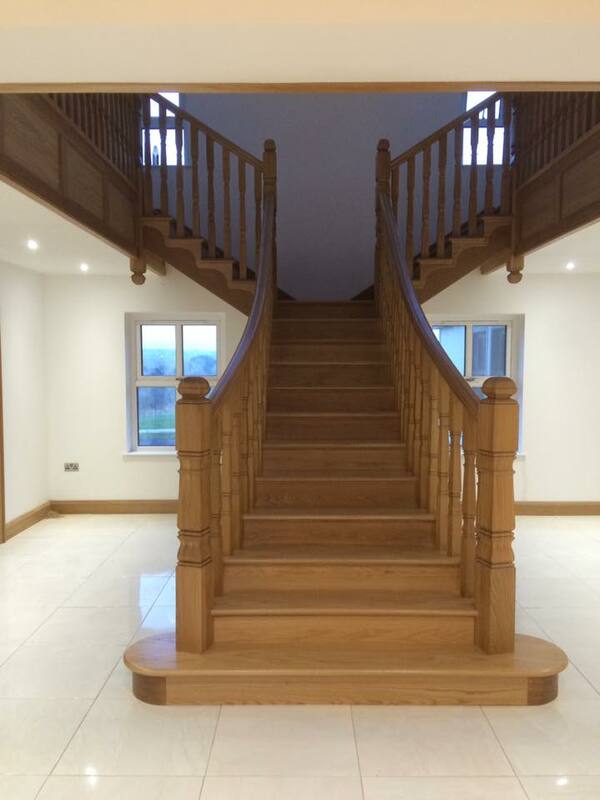 M.S Joinery specialise in bespoke staircases designed and custom-made to the highest standard using a wide variety of carefully sourced timber. Whether you're a domestic or commercial customer, we've installed a wide range of staircases in properties of all shapes and sizes since our business was established in 2000, and we thrive on assisting with projects that require the creative approach. 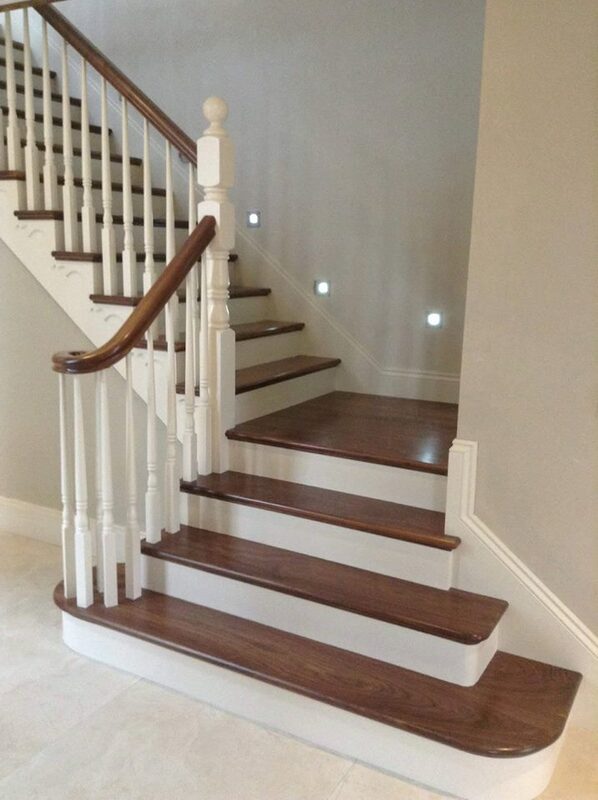 We provide a professional, yet friendly, and personal service and will meet you on-site to design the exact staircase that is right for you. We also provide a spraying service so your staircase will be installed and finished to the highest possible standard. To view our Full Gallery Click Here!